5 Steps to Manage Financial Anxiety — More Than Your Money Inc. Numerous studies have found that financial issues are a major cause of stress for American adults. Studies by the American Psychiatric Association found that over 60% of respondents said they were extremely or somewhat anxious about paying bills or expenses. According to a 2018 poll conducted by Gallop, the most worrisome issues for the average American are running out of money in retirement and a lack of money to pay for medical expenses in the case of a severe illness or disease. Gallop found that 60% of the respondents were extremely or moderately worried about these two issues. 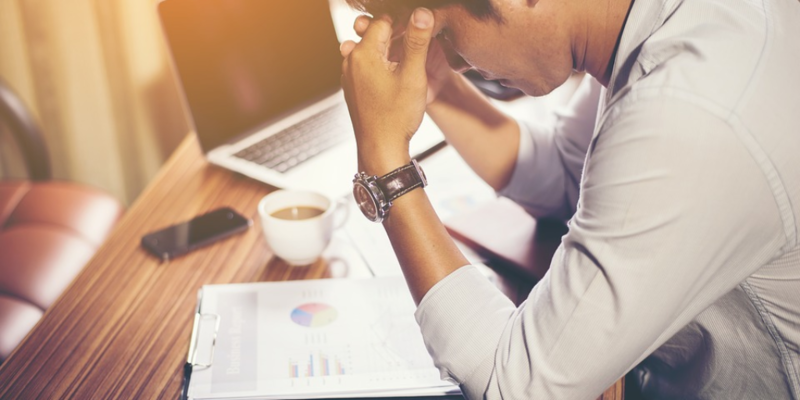 Additionally, a 2016 study conducted by Northwestern Mutual found that over 80% of adults feel some anxiety due to the rising cost of healthcare, unplanned financial and health emergencies, income and savings. They found that 25% of Americans worry about their finances at least once a day and over 67% say that financial stress impacts their health. Take Control: Feeling a lack of control over your finances can cause tremendous anxiety.Take back some control by understanding your current income and expenses and developing a budget. Decrease stress and improve your financial situation by setting some goals and creating a plan. Some key actions that can help you gain more control include living below your means, maintaining an emergency fund, minimizing debt and saving for the future. Stay Positive: Maintaining a positive attitude and mindset of gratitude can also help manage financial stress. Don’t dwell on the past - look optimistically toward the future. View potential improvements on managing your finances as opportunities rather than problems. A positive outlook can help motivate you to fix your financial problems. Celebrate your accomplishments as you make progress toward becoming more financially secure. Ignore Media Hype: Tune-out negative financial news designed to get your attention and alarm you. Things are rarely as bad as portrayed in the media.Focus on what you can control rather than current events that will probably have minimal impact on your situation.Keep a long term perspective to avoid stress from sensationalized headlines about short term fluctuations in the stock market. Improve Income: Financial anxiety is often caused by inadequate income to cover current expenses and long term financial goals. Proactively work to improve your income by getting additional skills or education, changing careers and asking for a promotion and a raise. Take the initiative to explore opportunities to improve your earning ability. Focus on Health and Exercise: Invest some time and money to take care of yourself through exercise, a healthy diet and adequate sleep. This will leave you with less stress and more energy and enthusiasm to tackle your financial concerns. A healthy lifestyle will also help save money on medical expenses.